The all-rounder for demanding digestions at elevated temperatures and pressures. 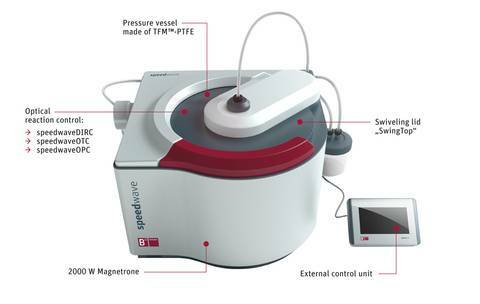 By combining innovative sensor technology, quality materials and a unique device design, the all-rounder Speedwave Xpert scores especially highly for digestions at high pressures and temperatures. 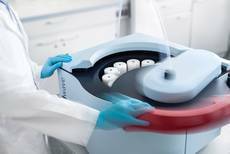 In addition to the "simple routine samples", many users also need to process the most challenging sample materials. For this target group, devices are required that are both powerful and meet the highest safety requirements. In this context, the all-rounder Speedwave Xpert shines thanks to its new SafePrep concept. The use of 2 magnetrons with a total of 2000 W power significantly increases performance, enabling digestion of the most difficult sample materials. At the same time, the microwave is equipped with dynamically regulated fans which provide a marked noise reduction during digestion in comparison with similar models. SafePrep stands for guaranteed safety by combining high-quality materials with a sophisticated microwave design, innovative sensor technology and easy operation. The toploader design makes it easy to handle: The digestion vessels are inserted individually into the rotor from above and taken out again. It is therefore not necessary to transport a fully loaded rotor. In addition, the robust construction increases safety. The microwave is operated via an external controller, which simplifies operation and increases corrosion protection due to being located externally. The controller, which is fitted with a high resolution color touch screen display and boasts the option to be operated via mobile devices such as a smartphone or tablet offering an intuitive and flexible method of control. The comprehensive application database helps the user to select the right digestion program. The patented optical measurement method guarantees users full control over the reaction. 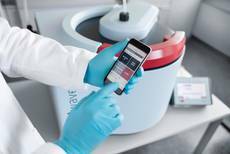 The instantaneous temperature and pressure measurement directly in the vessels allows spontaneous reactions to be intercepted, thus ensuring a seamless reaction. 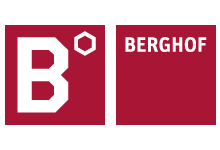 All Berghof pressure vessels can be closed and opened without the need for special tools. The pressure digestion vessels in the DAP series consist of TFM™ PTFE vessels, rupture disc, TFM™-PTFE lid and screw cap. Massive and long-lasting pressure containers made of TFM™ PTFE. Can be opened and closed without tools. Digestion vessel is covered by the device warranty. Controlled release of residual pressure when opening the containers. Digestion vessels can be used with the following mineral acids: HCl, HNO3, HF, H2SO4 and H3PO4. Connection between all vessels and the gas collection system, which safely discharges any nascent gases.